Gilbert, who plays Kenney’s mom Darlene Conner on the Roseanne revival, has expressed her support for the young actress and her decision to seek treatment. Sara Gilbert went on to add that it was a decision she wished she had made when she was Kenney’s age. "If I could go back to being 18 and start doing things to better myself at the pace you’re doing, I would be a better person today," Gilbert said. "So, I commend you, I love you, and I know you will come out the other side. Thank you for speaking up and being an example for other people." Gilbert’s co-hosts Eve and Sharon Osborne also spoke in support of Kenney and others in her generation who have been vocal about their decisions to seek treatment. We’re so glad Emma’s taking the time to take care of herself and get the treatment she needs! 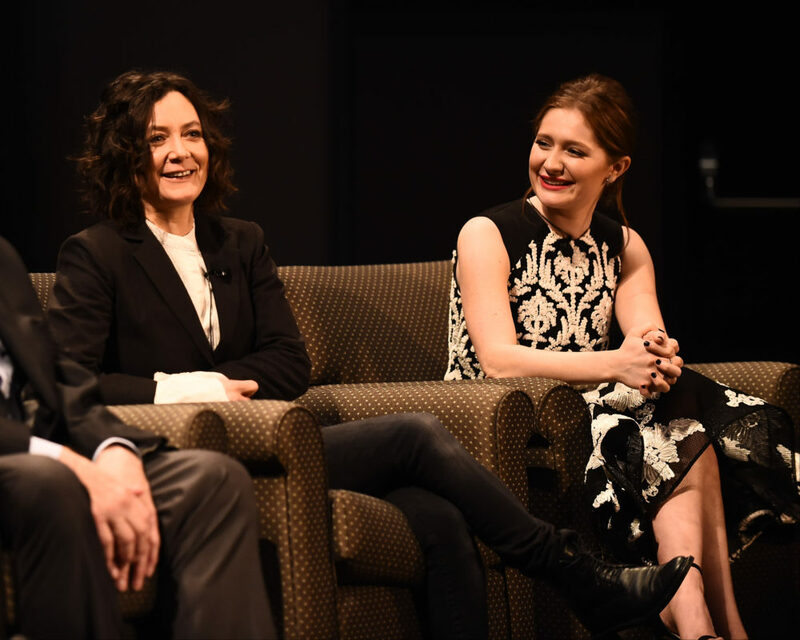 And we’re so happy to see Sara Gilbert, and her fellow Roseanne co-stars, supporting her.